Widely used to provide oxygen in aquariums, fish farms and hydroponic systems. One year warranty. 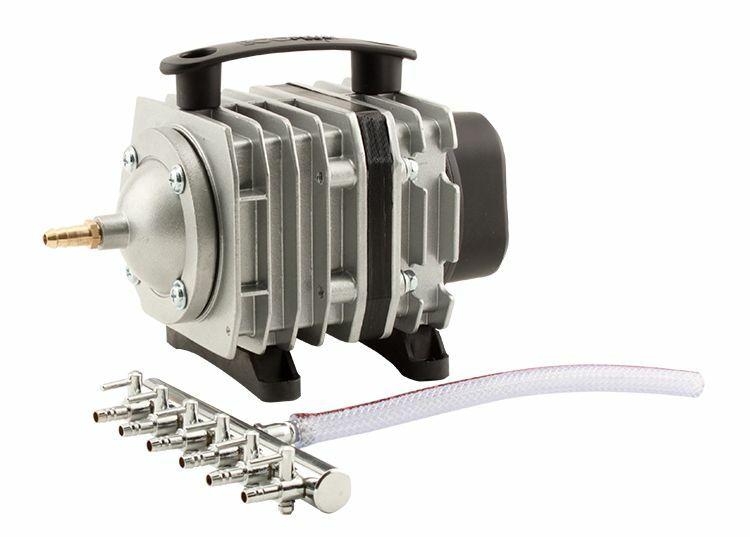 Will meet many requirements of pumps with air dividers from four to twenty-two outlets. Cylinders and pistons are made of excellent materials, making the pump strong, durable. 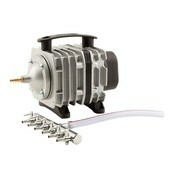 Convenient to operate without oil or much noise. Connects with 3/8" tubing.